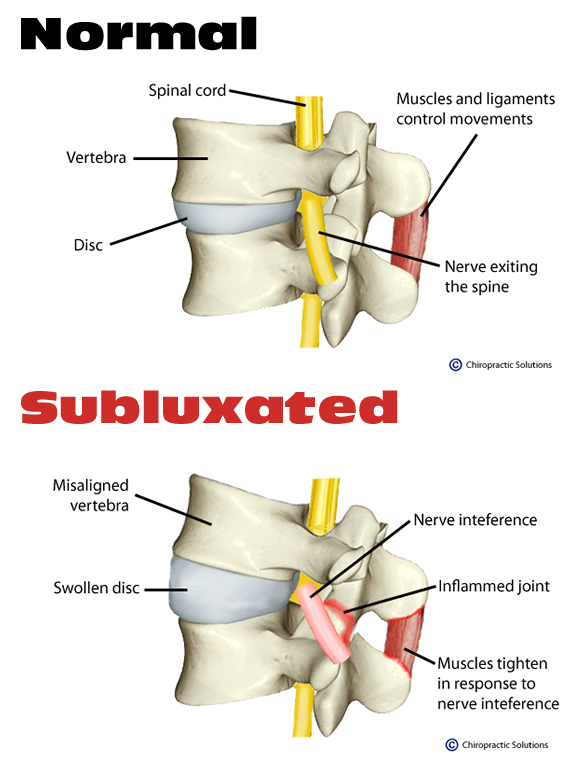 A vertebral subluxation happens in your body when one or more bones in your spine move out of position, or misalign. This misalignment causes indirect pressure on spinal nerves, which in turn, causes the nerves to malfunction and disrupts the normal flow of messages that has to travel through them. Your nervous system is comprised of your brain and spinal cord, which always work together. If the function of even one of these nerves is compromised, there is the potential for decreased function of your nervous system as a whole. Physical Stress – what you do to your body. Chemical Stress – what you put in your body. Psychological Stress – what weighs on your mind. When these stressors combine and overwhelm your body’s ability to process them, you develop subluxations. At Stamford Balance, we locate these subluxations and correct them using a gentle and specific approach that is personalized towards each patient's unique needs.